Lapidary Basics and Beyond with John F. Heusler, G.G. 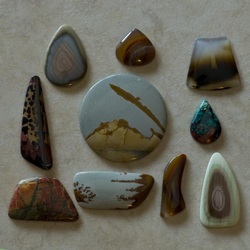 Students will learn basic gem cutting skills using traditional lapidary methods. 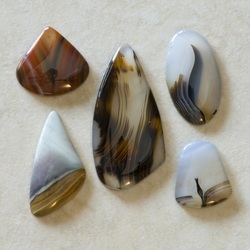 Students will cut multiple cabochons, be introduced to inlay techniques and learn how to cut and polish both rounded gems and angular stones with instruction on concave cutting and polishing. John has been making jewelry for over 46 years and owned a fine jewelry store for 31 of those years. He's a Graduate Gemologist from Gemological Institute of America. 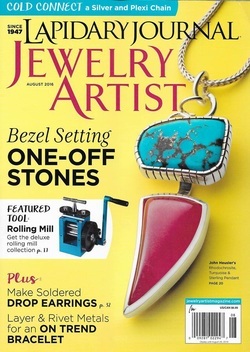 Now retired, John teaches classes in jewelry design and lapidary and writes instructional articles and how-to projects for Lapidary Journal Jewelry Artist magazine. 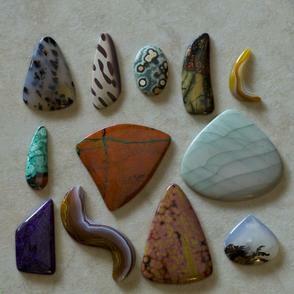 John has a Facebook page called Gemologist John Heusler where he sells cabochons and other jewelry related items. 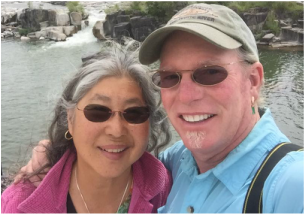 John lives in the Southern High Desert of California and enjoys photography, fly fishing and hiking, among other things. Wild bobcats recently made their way into his garage and had a litter of kits. This is the third generation to do so. John doesn't feed or give them water, just the use of the garage as long as they need it! They are completely wild. Students may cancel up to 10 business days prior to the start of the class and receive a full refund, less $10 processing.